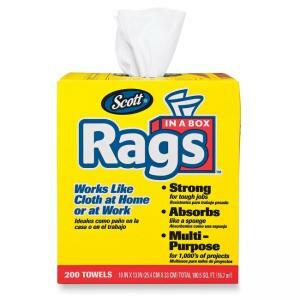 Full Size: 10" x 13"
Scott Rags In A Box are ideal for painting, wiping up spills, staining, and refinishing furniture. Soft, absorbent towels perform like a sponge. Pop-up box with built-in handle allows you to take the product to the job while keeping rags clean.